BPRD recruitment 2017 notification has been released on official website www.bprd.nic.in for the recruitment of total 40 (forty) jobs out of which 04 (four) vacancies for Scientific Officer, 17 (seventeen) for Instructor & Various Vacancies. Walk-in-Interview 18th December 2017. 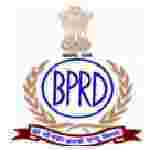 Here on this page you will get the details like the Name of vacancies released by BPRD with exact number of posts. Some other criteria like Education details, application fee and way to apply application for BPRD recruitment 2017. Educational Qualification: Master’s degree in Sociology with specialization in Research methodology or Correctional Administration or Criminal Sociology or Sociology of Deviance from a recognized University for S.no-1. Bachelor Degree from a recognized University and equivalent with Five years experience for S.no – 2. Age Limit: The age of candidate should be between 65 years as on 10.08.2018. Interested and eligible aspirants may appear for Interview with prescribed application form at the time of Interview.